And within it can be found a small space. The heavens and the earth are there: the sun, the moon, and the stars, fire and lightning and winds – the whole universe dwells within our heart. What does it take to have a healthy heart? Exercise? Friends? A loving partner? Healing from such pain can take days, months or ever years. How do we do it? Marcia Shimoff, author of Happy For No Reason, writes, “Happy people let love lead in their lives.” Just as much as we feel the pain of heartache, we can feel the joy of happiness in its place. I know, I suffered from a heartbreak for years until I learned her secret. “All of our emotions can be divided into two basic categories: Love and Fear,”(2). When we love with an open heart, we are literally, opening up the energy field for love to flow out and to come into our hearts. When we reside in fear our hearts “contract” and close off to any heart-healthy emotion: gratitiude, forgiveness, lovingkindness, etc. Of course we know this but, do we know this? When we are angry or sad we give in to the emotion – which is healthy initially (as long as we don’t harm ourselves or another). It’s when we stay stuck that it becomes unhealthy and can be debilitating. One way to get out of this is to “force” your self to think about the positive. Our brains are not “cemented” to a certain way of thinking. We train our brains to think certain things by ignoring the subtle signs we are headed down that path. But, we can retrain them to go down the path of uplifting and loving thoughts as well. Daniel G. Amen, of Change Your Brain, Change Your Body, offers similar advice, “Focus on what you love about your life and those around you, and your heart will be healthier and happier.” It will also help you live longer. I can tell you from experience this sometimes seems impossible but, just try these few steps listed below the next time you find yourself “stuck in a rut” over something and see if it helps – even a tiny bit. After all, you didn’t get in that habit overnight. Doesn’t it make sense to try to change it back to “Happy” one thought at a time? Laughter – Laughter can influence our whole bodies, uplift our moods, reduce levels of stress hormones (i.e., cortisol, dopamine and epinephrine) and increase the love-your-body hormones, endorphins. Gratitude – You don’t need more of anything in your life to be happy – just simply be grateful for what you do have. Look around you. Think of ten things right now that you can be grateful for: a wonderful spouse/significant other, kids who laugh (they’re a natural at this!) for silly reasons, cool socks with funky designs – make a list! Having a hard time with that? Commit yourself to this then: Every time you think a negative thought, force yourself to come up with 5 positive things about that one negative situation. However, remotely connected push through the negative to think positive thoughts. It may truly be a struggle sometimes but, you CAN do it! 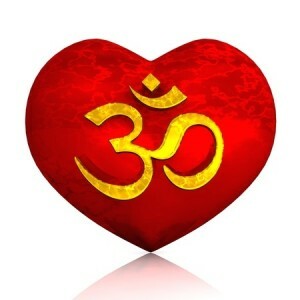 Meditation and Yoga – Both are proven stress reducers, which leads to opening our hearts. Get some body work done: soothe your heart with some Reiki energy, an acupressure treatment, an overall body massage – anything to help relax you and aid in releasing the stress and emotions you’ve been carrying around. There are lots more ways to take care of our hearts and lead happier lives. Start with these simple steps and you’re on your way to more “healthy and happy” overall. Change Your Brain, Change Your Body, Amen, Daniel G. 2010, Harmony Books, New York, NY. Happy For No Reason, Shimoff, Marci 2008 Free Press, New York, NY. 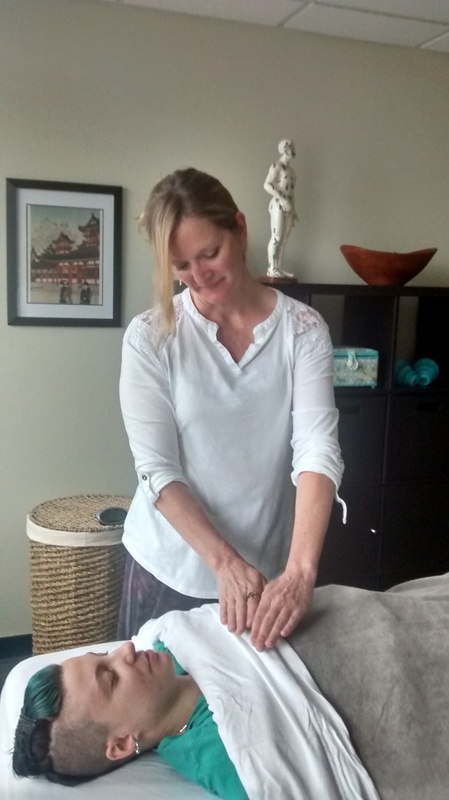 Kathy Bryant contracts with Renu Massage, Energy & Bodywork, is a Reiki Master Teacher, a Certified Crystal Therapist, trained in acupressure and is currently working towards certification in Cranio Sacral Therapy. 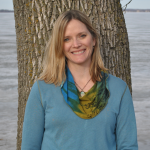 She is a native Madisonian and enjoys helping people achieve overall body wellness. Several months ago, I shared with readers how Reiki is helping my chronic pain – it was the beginning of my journey with that particular method of emotional and spiritual healing. I recapped my history with lingering chronic pain and shared how Reiki was helping to release another layer, and how wonderful it felt! I promised an update when I felt my journey was complete, and though I can’t know with certainty if completeness has occurred, I do feel enough changes have occurred to provide that update. What exactly is Reiki? I find a whole lot of people have no idea. It is spiritual; it works with the energetic forces in our bodies similar to acupressure and acupuncture, and it helps release and resolve areas that get “stuck” with various baggage we’ve been carrying around from old injuries, traumas, and stressors. Stuckness creates an environment for pain to thrive, and it literally keeps us from moving forward when it is time to let go. 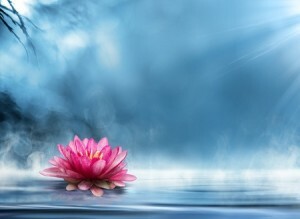 A gifted Reiki practitioner can assist us in letting go on levels we are not aware of, like a therapy for your subconscious and spiritual self. A am so thankful for the very gifted therapist at my place of business who has done wonderful work with me! I do have to be honest – I slacked a bit on consistency with Reiki after giving it a solid go in the Spring. But over those slacking months, my emotions were also in a stuck place and weren’t yet ready to move. That’s the thing with Reiki – as with most any type of therapy, you have to be ready for it and be willing to partner with your therapist to see results. I began regular Reiki treatments in March for my chronic pain, then in April a bunch of things got shaken up in my world, and it took several months for my attitude to be okay with the changes. Coincidence? I’m thinking not. It seems when we open ourselves up to a treatment to help us change, move on, or move through any type of stuck pattern, we should not be surprised when our world gets shaken up a bit. I took a break from Reiki while my attitude decided it wanted to stay in an unhappy place for awhile. As I started to accept and embrace the changes, I saw that these changes really were good for me, and it seemed to be confirmation that the Universe was giving me wonderful gifts despite my begrudging attitude at my inconvenience and things not happening the way I had planned or envisioned. Then I noticed something else… I had not felt my back pain in quite some time! It had been getting pretty bad there for awhile, and though the Reiki did provide some relief, it wasn’t going away entirely. Somewhere in that span of time when I decided to catch the wave of change and ride it instead of fighting it, I also let go of my pain. When I went back to Reiki, I felt some amazing sensations during the session, which seemed to be getting deeper into areas I have felt were holding onto past pain. I was told my energy is much smoother than it had been several months prior. It was such a beautiful experience! And as before, it seemed to stir things up again for awhile as things shift within me (this time internal, not with my external surroundings as had happened before). And now I feel more in tune with what I’m feeling and experiencing, like I can tell we’re getting to some really good things. I know I’m not complete and done with Reiki, but as I was feeling some deeply held sadness over the holidays (that I still marvel can hide out within me for so long), it actually felt like I was reaching the bottom of it. I was letting it out, letting it go, and replacing it with wonderful love and security now that I now feel so strongly. 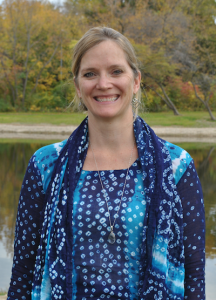 Heidi Aschenbrenner, LMBT, CCT, BCTMB, and Member AOBTA, is the owner of Renu Massage, Energy & Bodywork specializing in Eastern bodywork therapies and the healing arts. 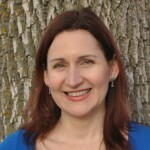 Heidi and her team of bodywork therapists, a Reiki master, and a Certified Personal Trainer, all strive to achieve balance in each session through the use of energy work incorporated into their bodywork therapies and have all been trained in Eastern healing techniques and cupping therapy. Renu also offers an infrared sauna from Sunlighten Saunas for deeper healing and detoxification after your session. For more information or to contact Heidi, please visit renumadison.com. As a bodyworker and certified cupping therapist, I am familiar with chronic pain. I’ve also experienced a significant amount of chronic pain personally over the years, which has led me to the work I do. Since becoming a therapist, I’ve been slowly unraveling what has built up in me all these years, including injuries, internalized stress, and the resulting emotional connections to those things. I learned in studying the body that emotions stay in our tissues, associated with the originating event that caused trauma or stress, until it is released through various forms of bodywork that I have been trained in. What I didn’t fully realize was how helpful Reiki can be in moving that process along and clearing up energetic blockages that keep the body in its same patterns of chronic pain. I’ve worked with multiple chiropractors and physical therapists over the years, and I’ve had regular massage for the last decade both to keep my back pain in check and also because I can see the positive changes it has made for the rest of my body. After a herniated disc and all the melodrama associated with that for a good portion of a year, I have worked diligently and consistently to get my movement back so I can do the activities I so enjoy. Yet that chronic stiffness and pain still linger — even after my sacrum is back where it’s supposed to be, and the surrounding low back tissue feels soft and movable like it’s supposed to. There doesn’t seem to be any physical cause for the pain and stiffness that lingers and resurfaces from time to time. 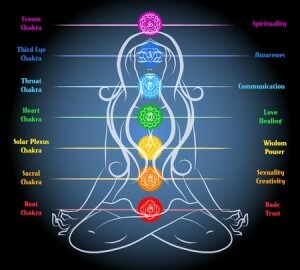 My current chiropractor suggested Reiki or another type of energy work as the next step. I had not considered this! I have two Reiki practitioners at my business, and my acupuncturist also does Reiki along with other energetic and spiritual work. It was high time I gave it a try. I’ve been seeing one of the practitioners who works with me, and I was amazed how much I felt during the first session. 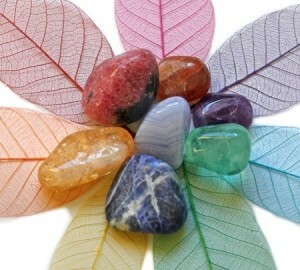 Reiki works with your chakras and your energetic forces to help bring balance and healing on an energetic and spiritual level. I could literally feel energy move through my body, and my practitioner could see and feel various things happening on an energetic level as well. (Some practitioners are gifted with that, and I am fortunate to be working with one!) I have felt like I am purging deep emotions that have been buried a long time, and I am feeling lighter, more energetic, and yes, my back pain and stiffness are improving. I am going to stick with this a while. Stay tuned for another article after I feel the journey is complete! 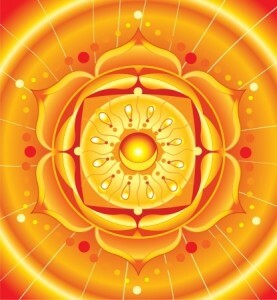 I knew several of my chakras needed work, but I am pleasantly surprised to find yet another layer of healing that can happen with the types of chronic pain issues I see so frequently with massage clients. The body is a wondrous and complex system; we truly need to heal not just the body, but also the mind and the spirit if we want to experience complete and full healing. If there has been any physical or emotional trauma that has resulted in any kind of chronic pain over the years and you are ready to let it go, perhaps Reiki is something that can help. I’ve been very much enjoying the beginning of my journey and am so happy I was directed that way.